Weleda - Natural beauty, you can trust. Both babies and calendula are gifts from nature. We take extra special care of our growing calendula, so it will take extra special care of your growing baby. Relax and moisturize with our wide range of rejuvenating oils. During pregnancy, childbirth and breastfeeding, your body will go through a lot of changes. And you need a good team on your side to help you navigate them. RED IS THE NEW GREEN WITH THE AMAZING POMEGRANATE EFFECT. Experience the power of the pomegranate – the fruit that has been a symbol of beauty, sensuality and strength since ancient times. What´s Best For your Skin ? In its green leaves the sea buckthorn collects the radiant light and vitalizing energy of the sun. What does my Skin Type say about me? Soothe your mind, body and soul with our luscious body oils. Choose from a wide range of rejuvenating oils and relax and moisturize your skin. In nature we find everything we need. The plants which we call lead plants, are very special to us and are the core of many Weleda natural cosmetic products. That's why we want to bring the leadplants a little closer to you. Balance Sensitive Skin to its Natural Beauty. Balance and nourish sensitive skin with almond. Almond oil is perfect for skin care due to the fact that its structure is so similar to the outer lipid layers of the skin. That means it’s easily absorbed, so its beneficial ingredients can quickly begin to help soothe sensitive skin. It’s packed with essential fatty acids to help your skin stay nourished and moisturized, and is rich in vitamin E and helps to protect skin from a range of environmental aggressors to gently soothe skin. Harness the potential of the pomegranate. Let nature unlock your skin’s potential. Only organic pomegranates are used for Weleda Pomegranate Face Care. And a specially formulated range of products ensures that your face gets the full pomegranate effect. Smooth and Deeply Hydrate Mature Skin. Weleda’s Skin Revitalzing Collection of face and body care products are formulated with deeply nourishing evening primrose oil. Evening Primrose Oil is an occlusive that helps protect skin against moisture loss and hydrates rough patches. With regular use, the life force of the plant infuses radiance, hydration and glowing wellness to your skin. Natural beauty, you can trust. We carefully select our raw materials, highly respecting their properties, and blend them in such a way their active substances can unfold their full potential for you. Find out more what we do, and where we come from. At Weleda, we strive for a holistic approach in medical therapy. We build our knowledge and practice on the principles of anthroposophic medicine, a system of medicine founded in the early 1920’s, by philosopher Rudolf Steiner and medical doctor Ita Wegmann. What started in 1921 as a pharmaceutical laboratory, with its own medicinal plant garden, is today a world-leading manufacturer of holistic natural cosmetics as well as pharmaceuticals for anthroposophical therapy. 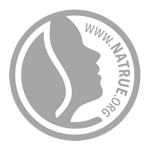 A pioneer and world-leading manufacturer of holistic natural cosmetics and anthroposophical medicines.